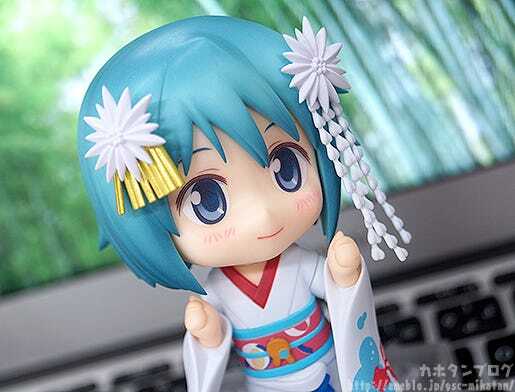 Nendoroid Sayaka Miki: Maiko Ver.! 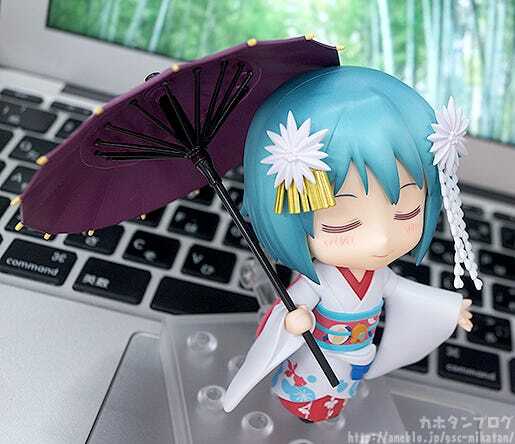 From ‘Puella Magi Madoka Magica’ comes a Nendoroid of Sayaka Miki dressed in a refreshing Maiko outfit. 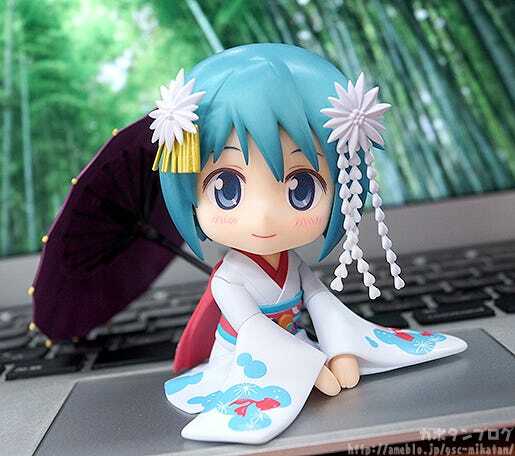 She comes with two face plates including a smiling face and a face with closed eyes, and both closed and open Japanese-style umbrellas are included as accessories. 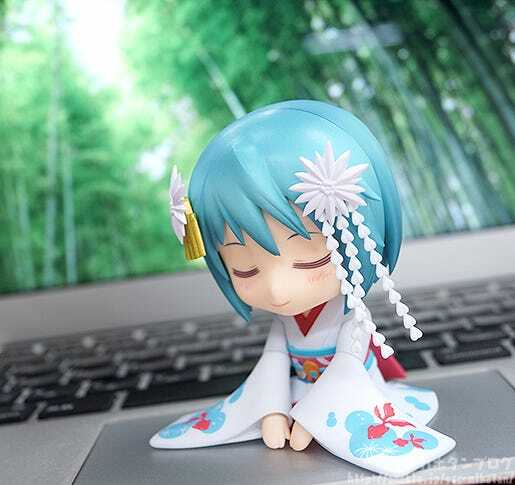 Interchangeable parts to pose her sitting are also included, which can be used together with the closed eyes to create an elegant bowing pose. 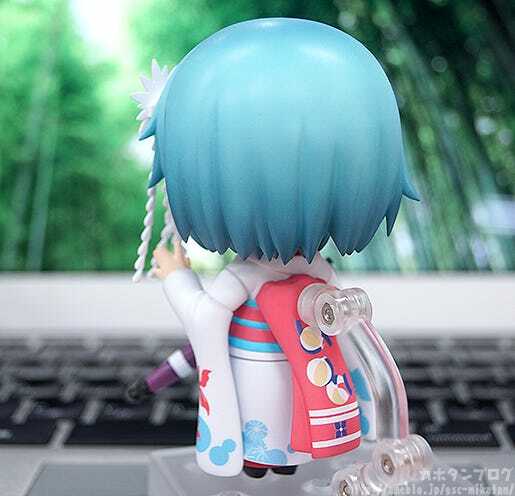 Be sure to display her with the other characters in the Puella Magi Madoka Magica Maiko series and create all sorts of different situations in Nendoroid size! 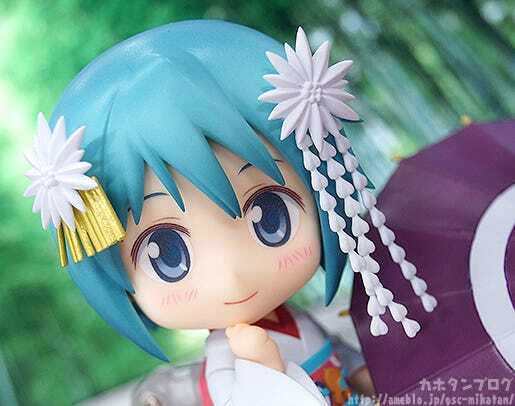 Sayaka Miki is rejoining the Nendoroids dressed as a beautiful Maiko! 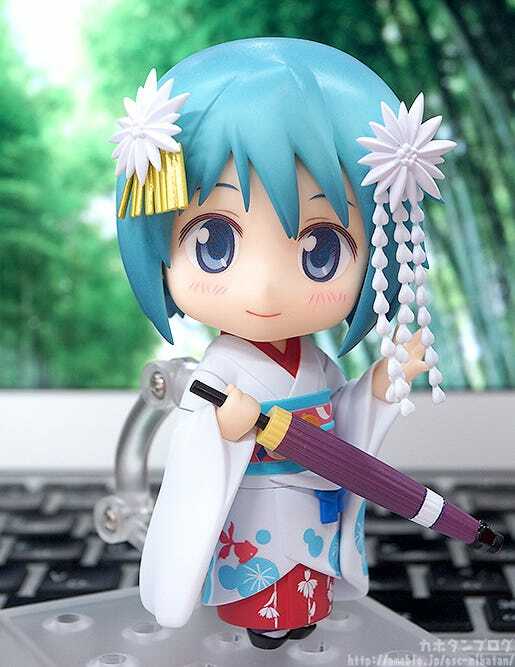 The latest of the Puella Magi to join the “Maiko” Nendoroid series is none other than Sayaka! She is dressed in a refreshing set of colors with little fish swimming about on her kimono! ▲ Anyone would want to call out to a cute girl in a kimono like this! ▲ Combined with this face plate she looks so very gentle and relaxed! This pose also looks great with the closed eyes! ▲ The combination of cute and serenity is lovely! (・∀・)!! Be sure to add the Maiko Sakaya to your collection! 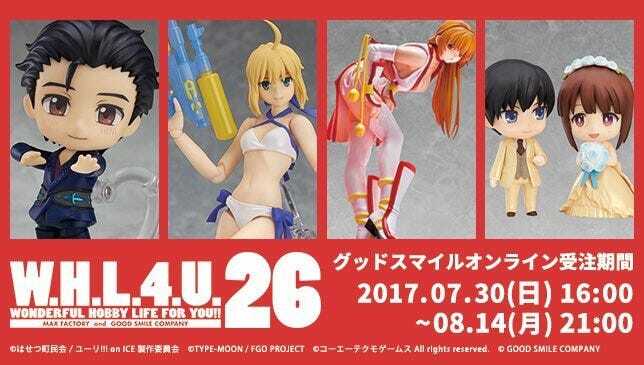 WonFes Products Up for Preorder! ◆ PLAMAX MF-EX01 minimum factory Kasumi C2 ver. ◆ Nendoroid More: Dress Up Wedding – Elegant Ver.